7 Steps to Small Business Marketing Success - Fortune Marketing Inc. 7 Steps to Small Business Marketing Success - Fortune Marketing Inc.
As a Certified Duct Tape Marketing Consultant I have access to a wealth of information and content that I use in my work with small business owners to relieve their marketing frustrations. 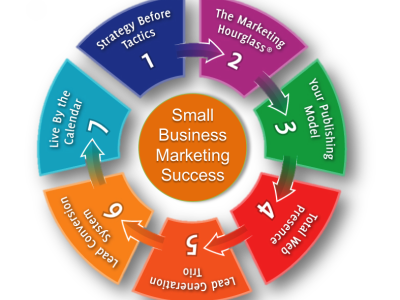 The foundation to it all is the Duct Tape Marketing System and the primary way we bring that to life is through an eBook and presentation called the 7 Steps to Small Business Marketing Success. In fact, I’m giving a FREE webinar with that title through the Arkansas Tech University Small Business Training and Development Center next week. The 7 Steps are very straightforward and really just reflect common sense, but as my friends at ninetyfive/five have always said – Common Sense doesn’t mean Common Practice. So, do you follow these 7 Steps in Your Business? Who is your ideal target client? Knowing these will keep you from racing to the bottom on price and establish you as a leader in your markets. 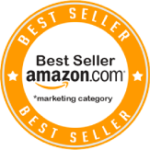 Your best sales force is your existing, referring, profitable customer base. What are you doing to ensure that your customer journey and experience is ideal throughout the relationship? Do your policies, content and processes match that journey? Your company is a subject matter expert in your target markets. Educate the market, share content you find relevant for your target clients. This does not have to mean staring at a blank computer screen hoping inspiration occurs. Start here: write down the 10 most frequently asked questions (and answers in your unique way) you get from customers – you just wrote 10 weekly blog posts. Content in all its forms (written, printed, video, audio, etc.) is how you are found both offline (customers referring you) and online (Google!) in today’s world. This step alone can be overwhelming but it is vital. So, focus and prioritize – get your website in shape (mobile responsive, updated, correct location info), keep it updated, then begin to amplify and draw your target customer in through social media and other channels. You know who you’re after and where they are, but how to reach them with an offer to get them to Know, Like, and Trust you? Public Relations: Gaining positive mentions of your business or product is worth its weight in gold. Think through and search for writers, bloggers, journalists who would listen to your story and write for their readers. There are sites and publications for everything under the sun. Referrals: You know who you want to target so why not work to activate your best customers to help draw in more? Take great care of your best referring customers and they’ll take care of you. Now that you’ve got them interested how do you turn that interest into a profitable, referring customer relationship? Think through your Sales and Service process – not JUST the “closing” process, but the “before the sale” experience (reinforce that you are who they want to do business with) and the “after the sale” experience (does your billing, service and installation process reinforce or detract from your Unique Value Proposition? Your customers know if it helps or hurts). Focus and Discipline are the keys to successful marketing. Just about the time you’re tired of delivering the same message, your target customers are finally hearing you. Stick with it and using this system will yield great results. Measure those results, know what matters and enjoy the growth! 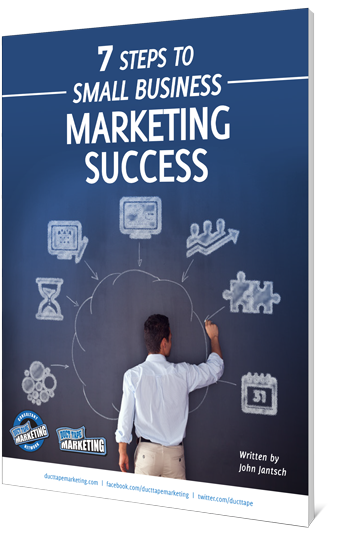 Be the first to get this hands-on guide (with TONS of FREE BONUSES) to growing your local business!